The Family Table with Genevieve: Weekend Wrap Up....moving to Tuesdays! 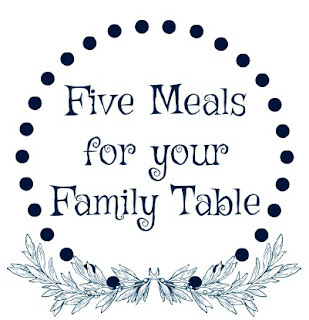 A new weekly post, where I will share 5 meal ideas for your family table each week. If you missed the first one, you can check it out here. 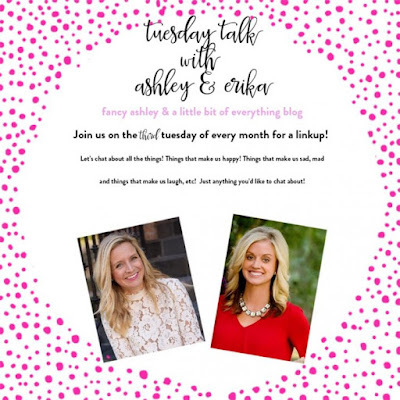 Since this will be our new Monday post, we are moving our Weekend WrapUp to Tuesdays! As I mentioned last Friday....we got lots of snow on Thursday and it was still snowing when the kids went to bed! So they put ice cubes in the toilet, put their pjs on inside out,,,piulled out all the tricks for a snowday and it worked! Friday=SNOWDAY!!! It was our first one this school year & we had big plans. 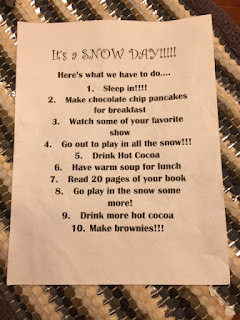 And by big plans I mean chocolate chip pancakes for breakfast, movie watching, brownie baking, playing in the snow, drinking hot cocoa...you know all the things you are required to do on a snow day! 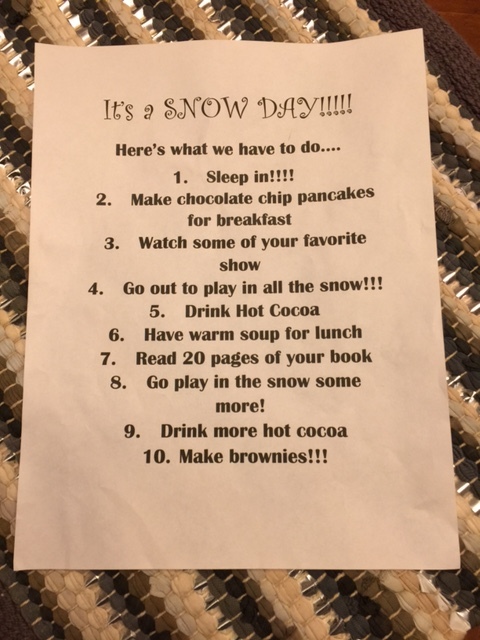 We got the call the night before that school was cancelled, so I printed a snow day note and slid it under the kids' doors. They were so pumped to find the note and our to do list! Some of our neighborhood friends came over to play in all the snow... drink cocoa,...watch a movie...eat popcorn....SNOW DAYS are pretty fun... when you are snuggled at home with good friends! I mean...why would you get out of bed??? We went to the Sabres game that afternoon...and it did not warm up for our walk to the arena, but we did get to walk by the Naval ships....and Luke wanted a tour! It was a super exciting game...and they won! What is it about that bright orange cheese?? It is probably one of the worst things for you to eat, but it just feels so right at sporting events! Then off to grab some dinner at one of mine and Paul's favorite spots from our college days....Pano's! Sunday brought grocery shopping, food prep, sledding and more playing in the snow! For the afternoon, we settled in for some football playoff watching......even if our team was not playing. 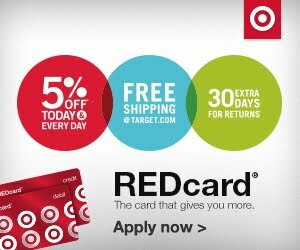 #maybenextyear? Hope you all enjoyed your first full weekend of 2017! 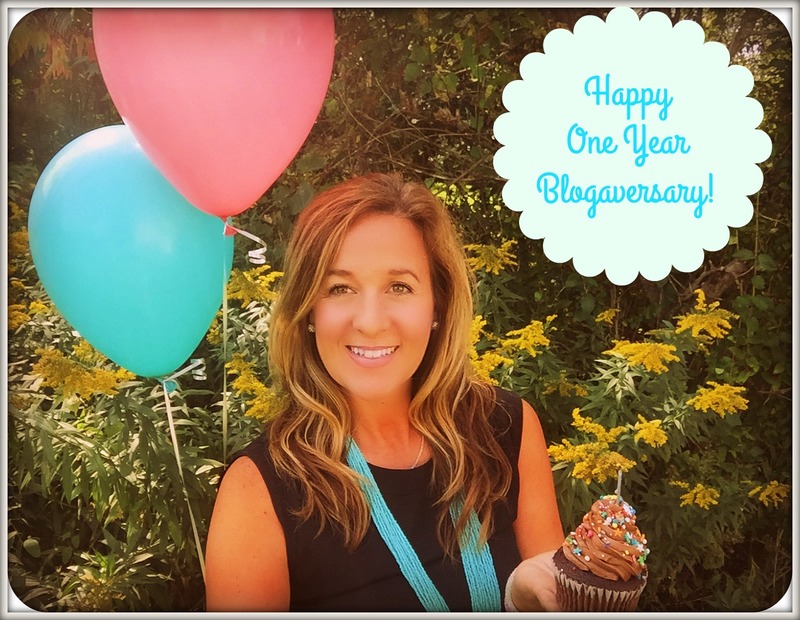 Be sure to stop by tomorrow... sharing the first of a new monthly link up. Tomorrow's topic .....New Year's Goals! See you then... there's always room for one more at our family table.